South Africa’s ‘sprint revolution’ continued in Madrid last night when Carina Horn sprinted to a time of 11.06s (+1.2m/s wind) in the 100 metres, equalling Evette de Klerk’s 25-year-old South African record in the process. Horn finished third in the final of the World Challenge Meeting. This was also an historic performance because De Klerk and Geraldine Pillay (11.07s) are the only other local sprinters who were able to dip under 11.10s. Horn’s time of 11.06s is the fastest time run by a South African athlete at sea level. The latest blitzkrieg means that the only South African sprint records that are still gathering dust are De Klerk’s 200m record of 22.06s (set in 1989) and Heide Seyerling’s 400m record 50.05s (set in 2000). “I have not slept a wink since I ran 11.06s. Actually I am still battling to believe that I have really done it,” Horn texted early this morning. She was, however, slightly disappointed with her performance in the final. Jaun Strydom, Horn’s former coach, said he never doubted that Horn was able to improve on or equal De Klerk’s record. When Horn left South Africa to train under the guidance of Rainer Schopf in Linz her best time in the 100m was 11.59s. She has since improved by 0.53s. “A few years ago there were quite a few ‘experts’ who were of the opinion that Carina does not have what it takes to become a world-class sprinter, but she is definitely one of the most dedicated and driven athletes I know. She goes to the track at 8:30 in the morning and usually trains until about 16:30 in the afternoon. This means that she puts in a full eight hours at the ‘office’,” the Tuks Athletics coach said. Strydom agrees that Horn and Schopf made the right decision to focus only on the 100 metres for now. 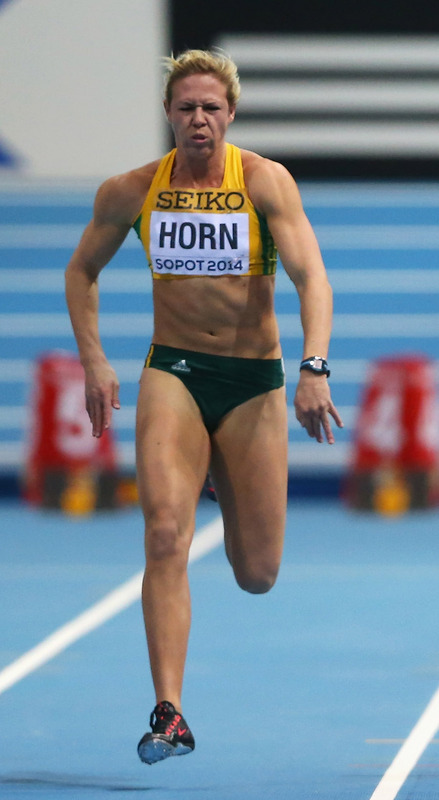 Earlier this season while competing in European indoor meetings, Horn proved that she is in good form. Of the five races in which she competed so far, she won two and finished second twice. Of more importance is that Horn managed to improve on her own SA 60m record twice, running times of 7.21s in Dusseldorf and 7.20s in Berlin. Sprinter Wayde van Niekerk claimed his second South African record in a month when he lowered the national mark in the 200m on Tuesday night in Lucerne. Van Niekerk clocked 19.94, breaking the 20-second barrier and the record of 20.04 set by Anaso Jobodwana at the Prefontaine Classic in Eugene, Oregon, on May 30. His fastest 200m time before Tuesday was a 20.59 run in Cape Town in May. 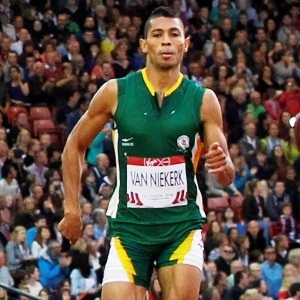 Van Niekerk is on a hot streak at the moment having beaten the 400m Olympic champion, Kirani James, this month as they continued to warm up for the World Championships. The University of Free State student lowered the SA 400m record to 43.96 seconds in that race in Paris, becoming the first South African to break the 44-second barrier in the one-lap event. Speaking to supersport.com before he left for Europe, Van Niekerk was coy about his chances in the 200m. The new South African record makes Van Niekerk the third-fastest athlete in the world this year in the 200m. Only Justin Gatlin and Isaiah Young – both of the United States – have gone faster. Gatlin has four times between 19.57 and 19.92, while Young ran 19.93 in Eugene. Van Niekerk has the third-fastest 400m time this year, his 43.96 bettered only by Isaac Makwala (43.72) and Kirani James (43.95). Berlin – Sprint star Usain Bolt is in Munich on Wednesday, seeking treatment from famous doctor Hans-Wilhelm Mueller-Wohlfahrt in a bid to cure his problematic pelvis injury before August’s world athletic championships. The reigning world and Olympic 100m and 200m champion has withdrawn from both the Diamond League meets this Saturday in Paris and on July 9 in Lausanne as he struggles for fitness. Bolt is suffering from a blocked sacroiliac joint in the pelvis which effects his left leg and the injury also forced him out of last week’s Jamaican championships. His goal now is to be fit for the world championships in Beijing from August 22-30 as he starts work with Mueller-Wohlfahrt, the team doctor to football’s World Cup winners Germany, who has treated Bolt throughout his career. “He’s the best doctor in the world and a great, great man,” Bolt has said of the 72-year-old German doctor, who has a string of famous patients. “He has treated my muscles, but he is more than a doctor to me,” added Bolt, who set the 100m and 200m world records in 2009 in Berlin. The Paris and Lausanne withdrawals are the latest setbacks for the 28-year-old who has not completed a full season since 2013, when he won three golds at the Moscow world championships, in the 100m, 200m and 4x100m relay. So far this year he has run an exhibition 100m in Rio de Janeiro and three 200m races which have produced only average times. A strong and hungry group of US sprinters is ready to end a long American drought. The once dominant country has not won a global title in the 100 metres since 2007, but that could change at the IAAF world championships in Beijing in August. Led by year’s fastest man Justin Gatlin, the US squad finalised at the weekend’s American trials is loaded with talent to challenge the world. “The US team will be the strongest for some years,” internationally recognised athletics expert Mel Watman told Reuters when asked to assess the overall strength of the American team. Along with Gatlin, former world champion Tyson Gay, the last US sprinter to hold a global title, promising teenager Trayvon Bromell and veteran Mike Rodgers, all will be in the 100m at Beijing. “I think a lot of (US) sprinters are waking up and understanding that it’s time to fight back,” said Gatlin, who had a bye in the 100m at the trials but ran a scorching 19.57 seconds in the 200m. Only four men have ever run faster. “It’s time to go out there and work hard and bear that American flag with honour,” said the controversial Gatlin, who has served two doping bans. “I think a lot of us are doing that, Bromell, Tyson, myself, even Isiah Young in the 200, Wallace Spearmon. The group’s speed in both sprints – Gatlin, Young and Spearmon will run the 200m – has given the Americans hopes of dethroning an underperforming Usain Bolt, who has won all but one global 100m title since 2007. The other went to Jamaican compatriot Yohan Blake. There is strength too on the women’s side with English Gardner sharing the year’s top time in the 100m and London Olympic gold medallist Allyson Felix the outright leader in the 200. Along with Gatlin, Felix, Gardner and Olympic pole vault champion Jenn Suhr, the Americans leave their trials with nine other athletes with the top performances in the world this year. “A nice blend of youth and experience, as typified in the sprints where you have proven big-time winners like Gatlin (33), Gay (32) and Felix (29) lining up with wonderful newcomers to the international scene such as Bromell (19) and Jenna Prandini (22),” said Watman. “The strength in depth in numerous events was awesome. Sprinter Carina Horn and hurdler Antonio Alkana set new personal bests in Turku, Finland on Thursday night, as the speedsters led the charge in a solid all-round performance by the South African contingent at the Paavo Nurmi Games. Horn won the women’s 100m race in 11.16 seconds at the European Premium Permit meeting, chipping 0.01 off her career record set in St Polten, Austria last year, and inching close towards Evette de Klerk’s 25-year-old SA record of 11.06. Marie Josée Ta Lou of the Ivory Coast took second place in 11.24. Alkana, meanwhile, grabbed third position against a world-class field in the men’s 110m hurdles event, clocking 13.47 to improve his previous lifetime best of 13.50 set in Germiston last month. Former world junior champion Yordan O’Farrill of Cuba stormed to victory in 13.29, edging out countryman Dayron Robles, the 2008 Olympic champion, who settled for second place in 13.32. In the men’s 100m dash, in-form sprinter Henricho Bruintjies produced another fast time of 10.09 seconds to win his specialist event, albeit with the benefit of a 2.3m/s tailwind. Mosito Lehata of Lesotho took second position in a closely fought contest in 10.11, with Roberto Skyers of Cuba ending third in 10.13. Former Olympic silver medallist Khotso Mokoena secured victory in the men’s long jump with a best leap of 7.91m, holding off training partner Zarck Visser who took second place with a 7.82m effort. One of the ways the human body removes toxins from the body is through sweat. Profound sweating is a highly effective way to remove toxins the body might have absorbed in several ways. And, sauna does just that. In the intense heat sessions in sauna, a lot of sweating can be experienced, which helps flushing toxins from the body in a great way. 2. Saunas help in weight loss. Sauna therapy is a great way for weight loss, with minimal effort. During a sauna bath, the heart rate increases substantially due to the dry heat. Scientific calibrations suggest that a 20-minute session at around 170 degrees Fahrenheit burns over 500 calories. The body’s metabolism speeds up similar to the way it does from physical exercise and is a great method to maintain weight. 3. Saunas make the immune system stronger. Another one of the major benefits of sauna is that it helps to create a stronger immune system. Sauna sessions help produce white blood cells. The white blood cells of the body are its medium to fight against attacking infections and ailments. As the regular users of sauna have higher count of white blood cells, they stay healthier and if illnesses occur, they heal faster. 4. Saunas promote social interaction. This benefit may not be up for the grabs for users of the small-sized private sauna. However, they provide a great medium for social interaction among friends and relatives, if you or you acquaintances have a grand private sauna or you use public saunas. If this is not an option, you can easily go to the nearest public sauna. 5. Saunas help improve performance during endurance sports. Our body has a certain level for heat tolerance. 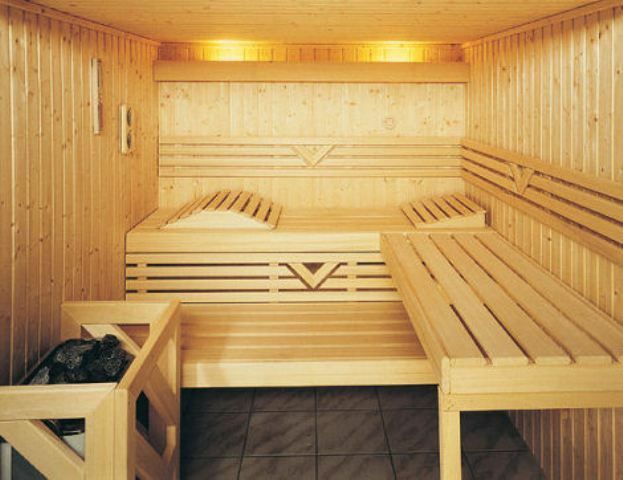 Regular use of saunas increases the heat tolerance threshold. This leads to significant improvements in endurance sports as regular sauna users have a higher heat tolerance level and thus, feel less fatigue and can maintain their energy level over a prolonged period of time, improving performance. 6. Saunas make hair look great. We have a special gland called the sebaceous gland on our scalp, which releases compounds that help condition and moisturize our hair. Spending some time in the sauna activates this gland, which will then release these useful compounds, thereby helping to make hair look great. There’s no need to spend a fortune on risky hair care products. 7. Saunas help to recover from workouts. Nowadays, a lot of gyms have a sauna and there are plenty of good reasons for this. Saunas are highly effective ways to recover from workouts. The metabolic wastes are eliminated while sweating in a sauna. The blood flow to tired and strained muscles increases through sauna, helping them to recover quickly and feel relaxed much quicker. 8. Saunas help you look younger. One of the significant organs of our body, your skin also needs regular exercise and saunas are a great way to exercise skin. As we grow older, more of the dead cells accumulate onto our skin pores, as the skin becomes less elastic. A few sessions in the sauna improve blood flow to our skin, which aids the growth of new skin and also removes all the dead cells that were building up previously. The oils, which are the natural moisturizers and antibiotics present in our skin are mobilized through saunas. This helps us to look younger in a significant way. South African sprinting ace Wayde van Niekerk blitzed to a new national record in the men’s 400m at the New York Diamond League meeting on Saturday. Van Niekerk returned to the venue where he first smashed the national mark in a time of 44.38 seconds to shave 0.14 off his previous best, clocking 44.24. The Free State athlete’s time is the third this season, with only Granada’s Kirani James’ times of 43.95 and 44.22 faster than Van Niekerk. Van Niekerk won the gold medal with Christopher Brown of the Bahamas taking silver in 44.74 and Tony McQuay bagging bronze with 45.26. It is the second time in a week that Van Niekerk managed to improve on a national mark after he smashed the 300m record at the Birmingham Diamond League meeting on Sunday. Van Niekerk launched himself into 10th place on the world all-time list in the 300m with a time of 31.63 to shave 0.52 off Morne Nagel’s record from 2006. In the process he also broke the African record of 31.74 held by Ivorian Gabriel Tiacoh since 1986.